In the instance of a traffic collision, passengers and drivers are at risk for serious head injuries. When the head strikes the steering wheel, dashboard or windows, it can result in severe trauma. Victims may experience concussions, skull fractures, face and teeth injuries, soft tissue injury, brain damage, hearing loss, and vision problems. Additionally, the road to recovery for these types of injuries is intensive and may require long-term medical care. When the head and neck are forced to move suddenly, it can result in a common neck injury called “whiplash.” This is caused by damage to the muscles, ligaments and tendons. To demonstrate, whiplash limits mobility and results in pain and swelling. Therefore, recovery from neck injuries will likely require medication and physical therapy. Furthermore, impact to the chest during the accident can cause broken ribs, collapsed lungs, injury to the abdomen and pelvis, and damage to internal organs. Victims with pre-existing heart conditions also sometimes go into cardiac arrest during a traffic accident. Likewise, back injuries can cause excruciating chronic pain. Damage to the muscles, joints, and soft tissue causes great difficulty in movement and mobility. Similarly, slipped and herniated discs in the back are even more serious. They pinch nerves, which causes tingling and numbness in other areas of the body. Injury to the spinal cord can result in short-term or long-term paralysis. Any injury to the back or spinal cord is not to be taken lightly. Victims must seek treatment from a trusted medical professional, and take precautions to avoid re-injury even after recovery. Consequently, sometimes back and spinal injuries are so severe that victims never fully recover. 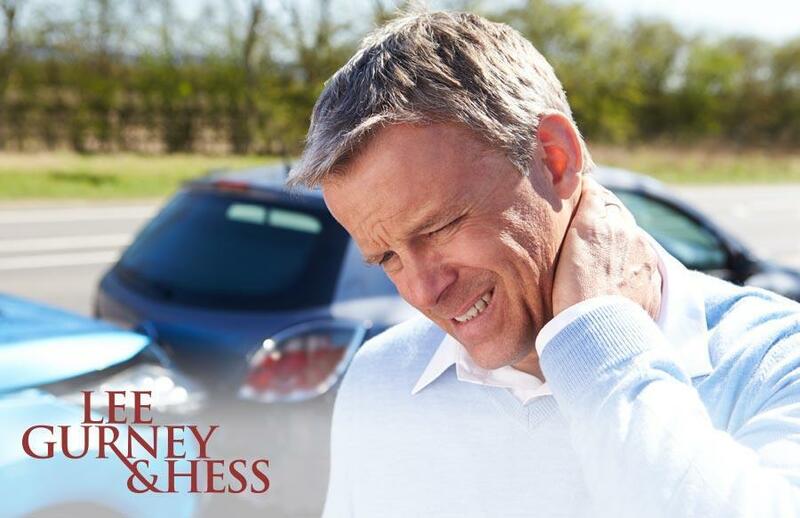 If you have been injured in an auto accident, please contact the personal injury attorneys Wichita, KS of Lee, Gurney & Hess. With over 90 years of combined experience in successful litigation, our auto accident attorneys do everything possible to assist in your full recovery. Contact our personal injury attorneys Wichita, KS today for a free consultation.